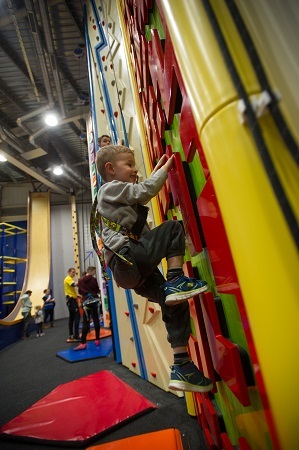 From toddler to adult, Rock Up has a climb for you. Touted as the hottest thing out of NZ since the bungee jump, Rock Up presents a series of exhilarating indoor climbing walls that will get the blood pumping and hair raising. 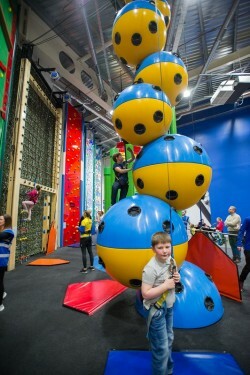 With 26 climbs, towering over 25 feet high, there are plenty of challenging climbs to get the whole family having fun together. 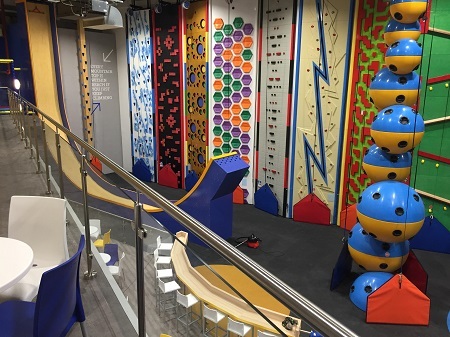 Try out the Twister, challenge your friends and family to the SkyScraper or see if you are brave enough to attempt the Vertical Drop Slide. 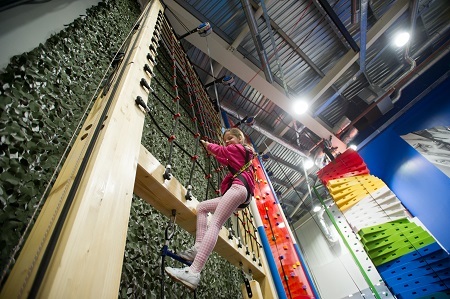 Using automatic belay devices which take in the slack as you climb and then lower you gently down to the ground, indoor climbing has never been easier, safer or more thrilling. With over 70 different ways to climb, there's always a new route to explore. Four our smaller guests, there's lots of fun to be had at Rock Up's soft play. Arranged over different levels, there's lots for children to explore – slides, swings, ball pool, obstacles to climb over and crawl under. Even the under two's can enjoy exploring their very own space in the Babies section.